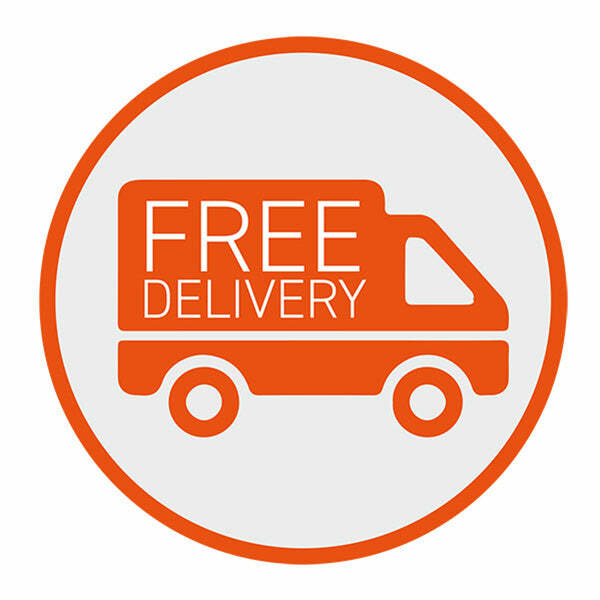 "Summer house perfect, service good, delivery prompt. Looking forward to using it now. " "A well designed, contemporary, spacious shed would recommend it - very happy." The Waltons 10ft x 8ft Helios Summerhouse is spacious and superb value for money. Its unique and contemporary design makes the Helios one of our finest summerhouses. The construction of the Helios Summerhouse is excellent. The tongue and groove interlocking cladding gives this building extra strength as well as providing an attractive finish. The windows and two door panels are glazed with styrene, a safer alternative to glass. The double doors are finished with a secure key operated lock to allow you to safely lock away any possessions. The impressive curved roof enhances the modern design of the Helios and furthermore allows rainwater to run off the back of the summer house. 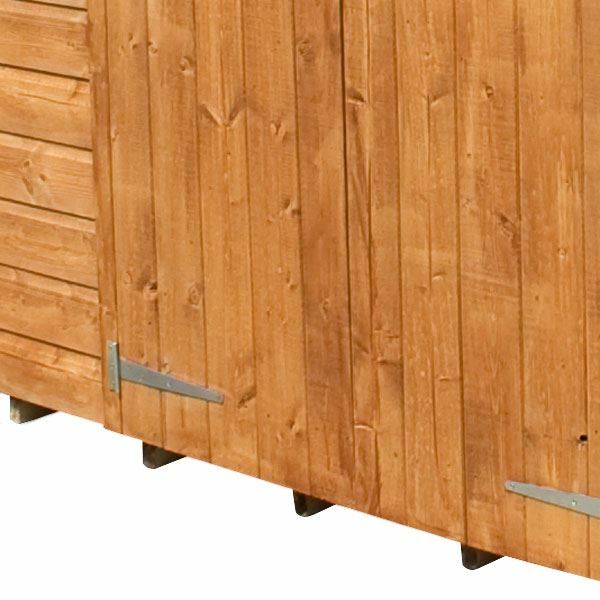 The roof and floor are constructed with attractive tongue and groove boards for a smart and robust internal finish. Our Reply:Good morningThank you for leaving feedback today. It is nice to know that you are pleased with your product and we hope you have many happy times entertaining in your summerhouse. 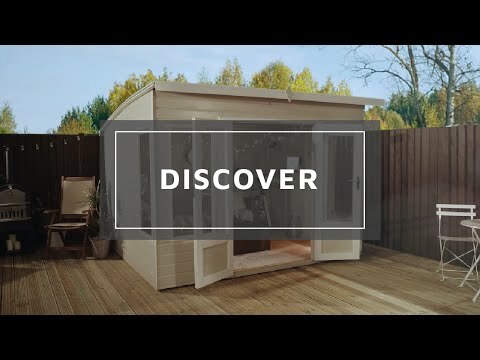 Review:This summerhouse is the perfect size for my needs. I researched summerhouse for so long then found this one. Thank you Waltons! Thank you for leaving your feedback, we do take all feedback seriously and are very glad that you are happy with your product, and thank you for the picture. I hope you have many years enjoying the summerhouse. Review:Good but room for improvement. Screws all mixed together which added to construction time. Some panels slightly out of alignment but nothing serious. Otherwise a good product. Our Reply:Thank you for leaving feedback. I am sorry that your had these problems with the building and I will be contacting the appropriate departments with your suggestions. We take all feedback seriously so that we can make and necessary changes. Review:Well some of the wood was bowed including one of the doors. Some of the panels the nails were protruding and some not fully nailed in. Overall very easy to assemble. Our Reply:I am sorry that there were some things not up to standard with the summerhouse. Have you spoken to our customer service team? Do you need any replacement parts? Our number is 0800 029 1000. Our Reply:I believe your installation is the reason for the delay, but looking at the order your installation is booked in and delivery will be a couple of days prior to the installation date. Our Reply:I am glad that you managed to erect the building and hope that you have many years enjoying your purchase. Review:Still laying in Garden dismantled. Installation team cancled at last minute after I took a days holiday from work. Now need to take another day off next week. What’s a waste of annuall leave. Fingers crossed installation goes well, I may be able to give a more positive review then. Review:We bought a fire pit and it proved to be just what we wanted. I am pleased that you are happy with your new summerhouse and I thank you again for your great review. Review:Looks great, seems sturdy. Paid extra for decent felt. Thank you for letting us know you're so pleased with the quality and appearance of your Helios Summerhouse. 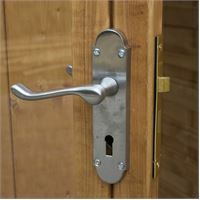 We're sorry to hear that you're not entirely happy with your summerhouse, if you require any replacement parts or any assistance with your purchase please do not hesitate to ask. Our office line is 01636 880514.
Review:Excellent value for money. This garden building has a lot to do as I want to use it as part shed, part greenhouse and part summerhouse and it fits the bill perfectly. I love this design with the curved roof and generous windows. It looks like a much more expensive building. It is wonderful to know that you are very happy with your summerhouse and that it suits your needs perfectly. Thank you again for your great feedback! It is great that you are happy with the quality of your summerhouse and I thank you again for your wonderful review! Review:Floor a little flimsy, but all in all a good summer house for the money and lovely when assembled, looking forward to spending many an hour in it. I am pleased that you are happy with the quality of your summerhouse and I am sure you will have many happy years of use from it. Thank you again for your feedback! Review:Instructions simple to understand, and the Summerhouse was erected by my son and myself in half a day. Quality of construction of the Summerhouse is excellent. Very happy. It is wonderful that you are so happy with the quality of your summerhouse and that assembly went well. Thank you so much for your much appreciated feedback. Review:Summer house perfect, service good, delivery prompt. Looking forward to using it now. I am so pleased to know that you are happy with the service and quality of your summerhouse and that it suits your needs perfectly. It is always lovely to hear from happy customers and I thank you for your great review. It is wonderful to know that you are happy with both the service supplied and with the quality and appearance of your summerhouse. I am sure you will have many happy years of use from it and I thank you for your great feedback! I am delighted to know that you are impressed with your summerhouse and I am sure you will have many happy years use from it and that you would recommend Waltons. Thank you again for your positive feedback. It is fantastic to know that you are pleased with the quality of your summerhouse and I am sure that you will have many happy years of used from it. Thank you again for your feedback. Review:Great item for the price. I am so glad to know that you are happy with the quality and value for money of your summerhouse and I am sure you will have many happy years of use from it. Thank you again for your great feedback. Thank you very much for your kind feedback, I'm sorry to hear that you had a few issues during the installation of your new Helios Summerhouse and it's great to hear that it will be put to good use. I hope your wife enjoys her 'Shedquarters' for many years to come. Review:Could do with thicker rooof felt and some facility to fix it to a concrete plinth. I am so pleased to know that you are happy with the standard of service received and that you are pleased with the design of your summerhouse. I am sure you will have many happy years of use from it and I thank you again for your positive feedback! Review:Still not received my purchase so how can I rate it!! Review:Just perfect..easy to assemble great quality fits the garden beautifully. It is wonderful that you are happy with the quality of your summerhouse and I am sure you will have many happy years of use from it. We take all of your comments on board and thank you again for taking the time to offer your feedback. I am delighted to know that you are happy with the quality of your summerhouse and I am sure you will have many happy years of use from it. Thank you again for your great feedback - it is much appreciated! Review:Summerhouse is good quality and looks great, assembled within a day, instructions could be clearer in places but generally good. Review:The summer house was delivered on time and to the place we asked for it. With simple instructions and a helpful online video it was put up in a couple of hours. Would recommend this company and this product. I am so pleased that you are happy with both the service and quality of your summerhouse and I thank you for your great review. Review:A firm that knows how to look after its customers. I am so pleased to know that you are happy with your summerhouse and the service provided. Thank you for providing the image, it really does look lovely and I am sure you will have many happy years of use from it. Thank you again for your great feedback. Review:Brilliant quality, easy to build if you know your way with a screw driver. I am very pleased to know that you are happy with the quality of your playhouse and that assembly was straight forward. Thank you for sending the image, it looks lovely! Review:Slight disappointment with the shed is floor doesn't seem robust enough, thought the t&g boards would be thicker or floor battens need to be closer together, bit too much bounce otherwise would be a 5. I am pleased to know you are happy with your summerhouse and we take your comments on board as we are always looking for ways to improve our services and products. I am glad you are happy overall and thank you again for your great review! Review:Great quality for the money I paid. Very happy with the quality and service. I am glad your are pleased with the quality of your summerhouse and I am sure you will have many happy years of use from it. It really does look lovely! Thank you again for your feedback. Review:We have yet to erect our summerhouse, but the quality of the construction seems to be very good. Much more solid and sturdy than other sheds we have purchased. So far, so good. Will update after erection. Review:Good quality summer house and easy to assemble (with two people). All parts included. Our Reply:I am thrilled that you are happy with the quality of your summerhouse and that assembly was straight forward, as this is always our aim for our customers. Thank you again for your great feedback! Review:Delivered on time and well made. Our Reply:I am pleased to know that you are happy with your summerhouse overall and should you have any queries, please contact us on 0800 029 1000 or service@waltons.co.uk. We thank you for your great review!